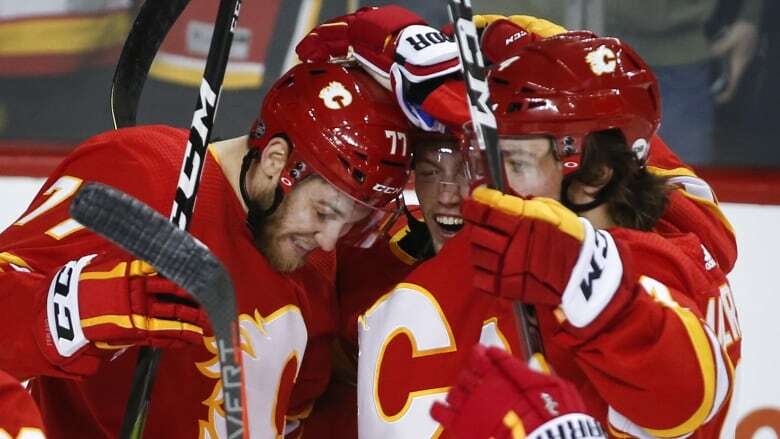 Johnny Gaudreau snapped a nine-game goalless drought with his 30th of the season on Wednesday, and the Calgary Flames scored twice in the third period for a 4-2 win over the New York Islanders. Johnny Gaudreau's scoring drought is over. "We got a big 'F.' Failure. We had too many passengers," Islanders coach Barry Trotz said. "We were poor on our exits. We were poor on our execution. We were poor on our battles. We were poor on our races. We were poor." "We didn't come out hard enough and that's the bottom line. I think we showed them a little too much respect," Cizikas said. "Down low in their own end I thought we gave too many pucks away. For a team that likes to get the puck down low and work it, we just couldn't do that tonight. We have to have a short memory because we have a big one [Thursday]."